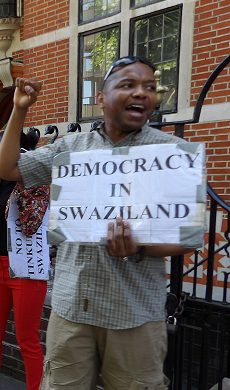 King Mswati III, the last remaining absolute monarchy in the world who rules the Kingdom of Swaziland with an iron fist since his late father Sobhuza II banned political parties through the 1973 decree continues to unleash his henchmen to rob Swazi citizens of their last means of survival. I could not help feeling disgusted but not at all surprised at an article on the online publication of the Times of Swaziland (13/02/2018) entitled, “Royal Emissary Takes 36 Cattle from Two Families”. What is really sickening about this article is that a partially blind man whose son is alleged to have been involved in rustling some of King Mswati’s cattle which number beyond thousands throughout the kingdom has had almost his whole kraal confiscated for the crime he personally had nothing to do with. Where is the justice accorded by the Swazi Constitution of 2005 here? Mswati’s thugs came to this man’s property by Royal Command to rob him in broad daylight, there was no due process of the law in this incidence and therefore no justice. Mswati chose to be the accuser, judge and executioner in a case he has vested interest in. Is this the precedence the Swazi head of state wants to set in matters requiring an impartial and independent judiciary to decide with fairness? 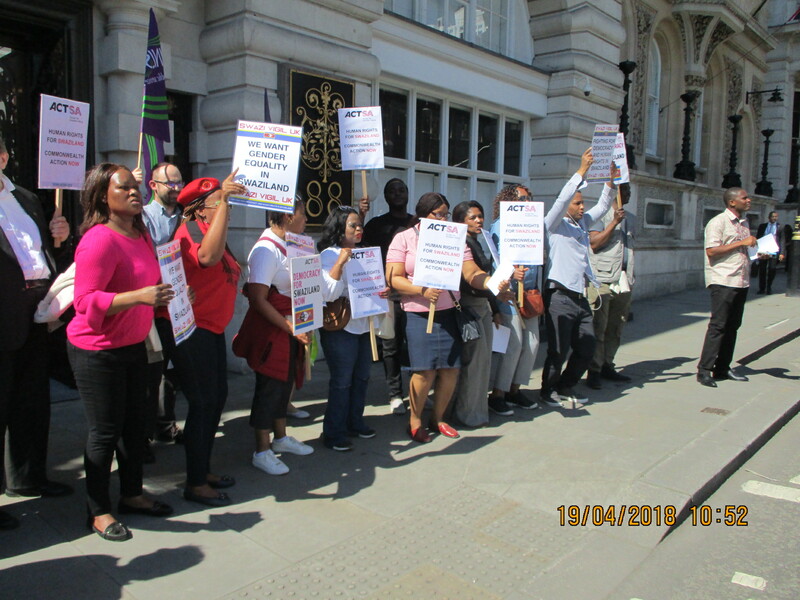 As Swazi Vigil Human Rights and Political Activists we condemn this injustice which has become the norm in King Mswati’s dictatorship over the suffering Swazi Nation. We as Swazi Vigil demand political reforms that will give way to democracy in the kingdom, we demand the repeal of laws that impede liberties enshrined in the bill of rights of the Swazi Constitution, we call on King Mswati to step down as an absolute monarch and allow the Swazi Nation to elect its own government that will be accountable to the will of the majority and not the bootlickers that currently call themselves members of parliament.